Phillip Arthur Lofts - Illustration Copyright? 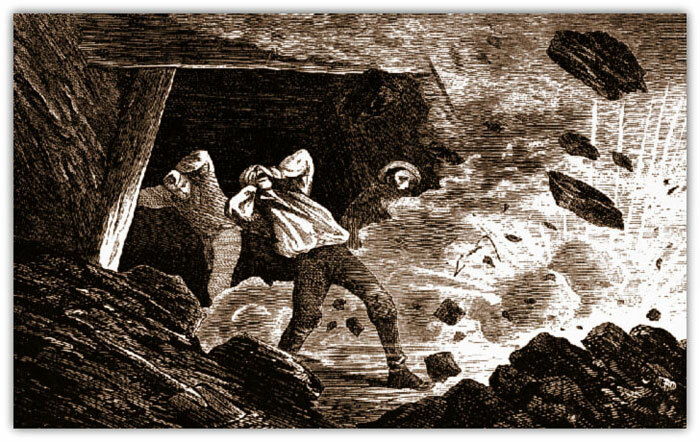 I am putting together a booklet on the 1852 mine explosion at Hemingfield Pit (also known as Elsecar Low Pit), which killed 12 men and boys, on behalf of the 'Friends of Hemingfield Pit'. The hope is that the booklet will sell for a minimal price to raise funds for the renovation of the pit and for use as an educational resource. I have used an illustration of an explosion in the booklet, which I found on your web-site. Could you tell me what is the position vis-a-vie copyright please? I have credited your web-site as the source of the illustration. Am I free to use the illustration? 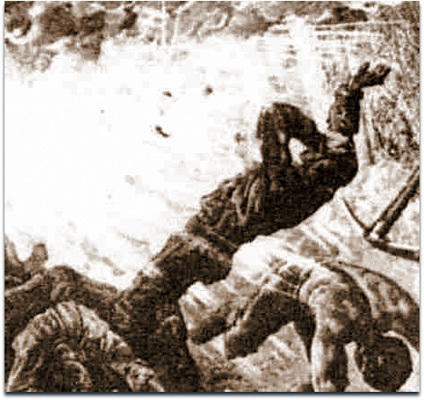 I am having difficulty attaching the illustration to this email but it is the one on your web-site menu page labelled 'DISASTERS'. I hope you can be of assistance as I cannot find another suitable illustration of an explosion and do not wish to commission an original as the cost will be prohibitive for our small organisation.